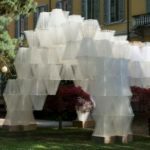 The fashion brand COS has partnered with French architect Arthur Mamou-Mani to present a large-scale 3D printed architectural installation made from renewable bioplastic bricks at this year’s Milan design week. 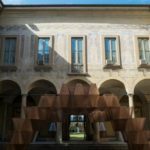 Placed in Milan’s 16th century Palazzo Isimbardi, the geometry of Conifera is inspired by the motif of the Palace, through the courtyard to the tiles. 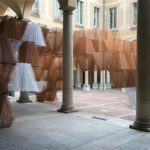 The 30-meter-long installation, Conifera was created from 700 interlocking modular bio-bricks, 3D printed in a mix of wood and polylactic acid (PLA). 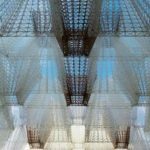 Each bio-brick is printed in the form of interlocking structural lattices, optimizing material use and allowing light to permeate the structure as visitors travel through the installation. They are then secured together using PLA cable ties. Mamou-Mani has teamed up with the Italian company WASP to create all of the bioplastic modules over a period of two months using four Delta WASP 3MT Industrial 3D printers, with each print taking between four and a half to seven hours. The installation features three colors. 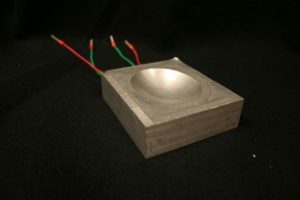 The translucent elements are PLA in its purest form, while the white sections contain a pigment, and the brown hues are achieved from adding wood pulp to the mixture. “The geometry of Conifera comes from the square motif which is very present at Palazzo Isimbardi, through the courtyard to the tiles. I wanted the piece to echo the circular nature of the compostable material and create a journey from architecture to nature in order to showcase how renewable materials, coupled with an algorithmic approach and distributed 3D printing, can create the building blocks of the future”. 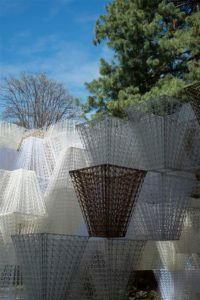 “Conifera offers a glimpse of the future, the potential of design and the possibilities which open up through collaboration“, reflects Karin Gustafsson, Creative Director of COS. “The installation has grown from the seed of an idea and has been shaped by Mamou-Mani’s creativity, the expanding horizons of technology and our shared focus on material innovation and craftsmanship. The final piece brings together so many influences reflective of our values and our focus on pushing the boundaries of design while maintaining a careful balance of the man-made and the natural. We can’t wait to share Conifera in Milan“.